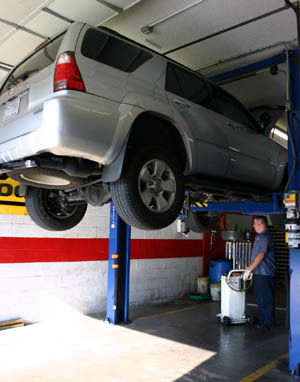 Firehouse Auto Care and Tire is an auto repair facility in Mooresville, NC that provides high quality automotive repair and maintenance services. As a full service Napa AutoCare Center repair shop, we offer the Nationwide Peace of Mind Warranty on every vehicle we service. What is the Napa Auto Care Warranty? •	Included FREE with your qualifying repair or service work. •	Covers parts and labor on qualifying* repairs and services for 12 months/12,000 miles. •	Honored nationwide by thousands of NAPA AutoCare Centers, so you're protected even when you travel. We provide service to most vehicle types including Hybrids, passenger cars, light and medium duty trucks, SUVs and mini vans. We service most every make and model of vehicles including: Acura, Audi, BMW, Buick, Cadillac, Chevrolet, Chrysler, Dodge, Ford, GMC, Honda, Hummer, Hyundai, Infiniti, Isuzu, Jaguar, Jeep, Kia, LandRover, Lexus, Lincoln, Mazda, Mercedes Benz, Mercury, Pontiac, Porsche, Saturn, Subaru, Suzuki, Toyota, Saab, Volkswagen (VW) and Volvo.